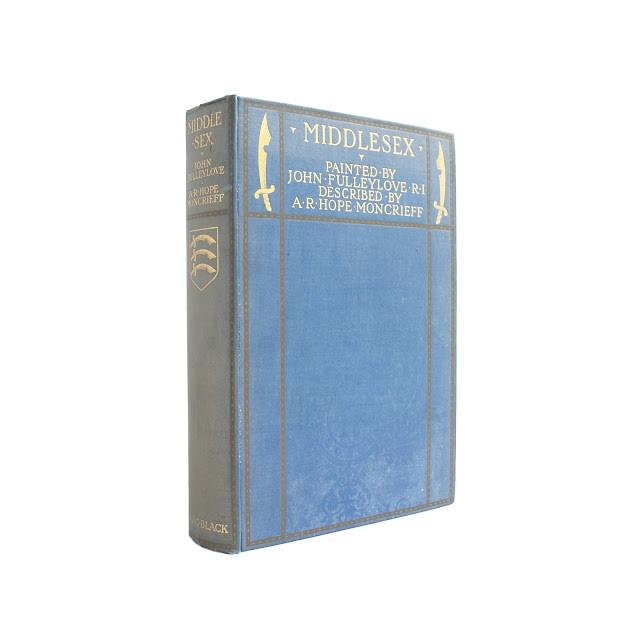 A look at the English county of Middlesex through the paintings of John Fulleylove and described by A. R. Hope Moncrieff. 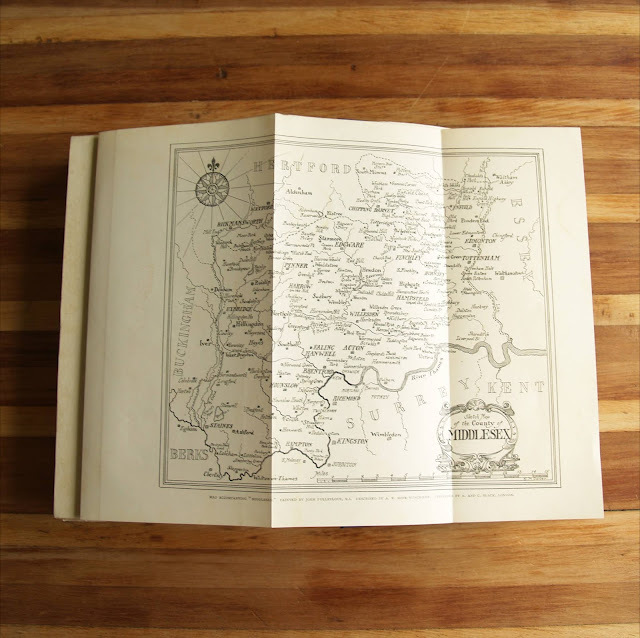 20 color plates in total, rear fold-out map. 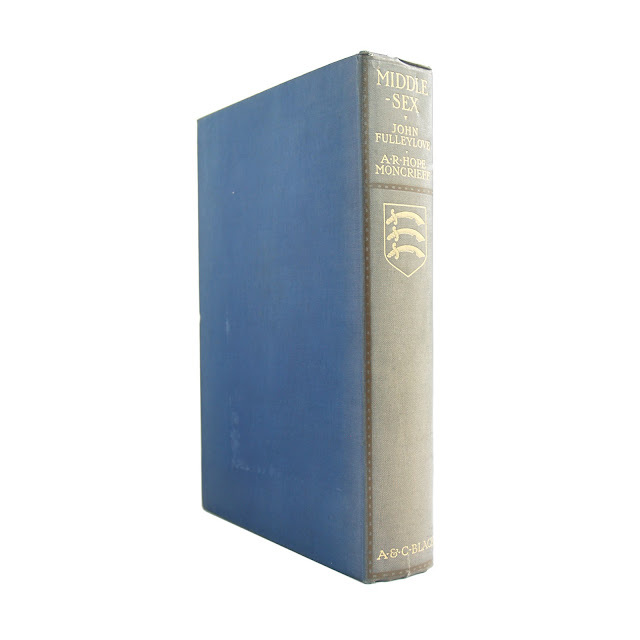 Top edge gilt. 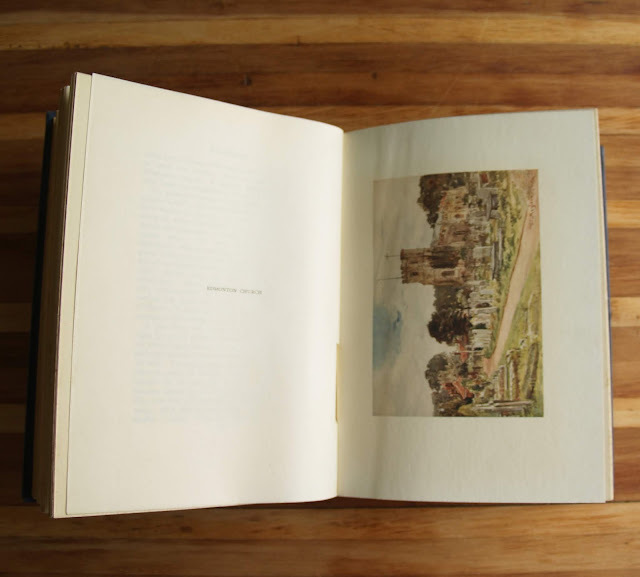 Covers show spotting soil and stains, foxing to page edges. Illustrations are clean and bright. 160 pages, 6 x 9 inches.